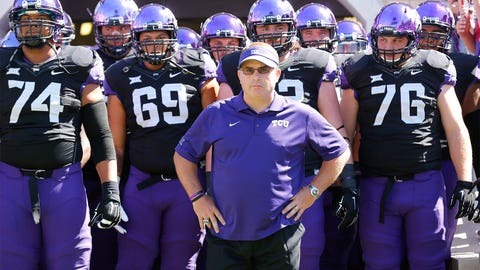 If the debate in the room of the Gaylord Texan was even half as spirited as the one outside the walls of the hotel, then the decision to pick college football's four best teams must have been agonizing. In the end, the 12 members of the selection committee selected Alabama, Clemson, Ohio State, and Washington to play in the College Football Playoff. The committee made the correct decision with the top four teams this year, but in making that decision, it highlighted how flawed the current system is. The College Football Playoff is currently a debate over exclusion — there are multiple deserving teams, and all but one needed to be left out. There has to be a cut-off for a closed tournament, of course, but when you're parsing between conference champions while a non-conference champion easily slides into the field, your rubric needs a significant update. Choosing four teams this season was an unenviable situation, to be fair. Ohio State has a resume that was too good to leave out — even if they didn't win the Big Ten, they had the wins over Oklahoma, Michigan, and Wisconsin and their only loss was a “quality” one to Penn State. But how do you leave the Big Ten champion out? If there's a one-loss team that also won their conference. Sharpshooters will make the argument that Penn State had a better out-of-conference strength of schedule and beat Ohio State, but it doesn't need to be that complicated. 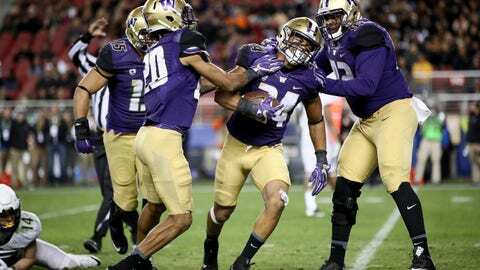 Washington won a strong conference and had one loss on the season. Penn State won a strong conference and lost two. Of course. Penn State is the Big Ten champion and is playing exceptional football, having won nine straight games to end the regular season. It wouldn't be a travesty if they were in the playoff. 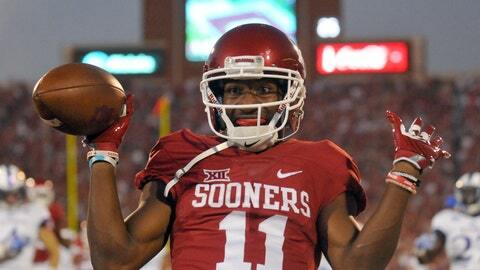 Oklahoma was a two-loss conference champion that played exceptionally down the stretch too. 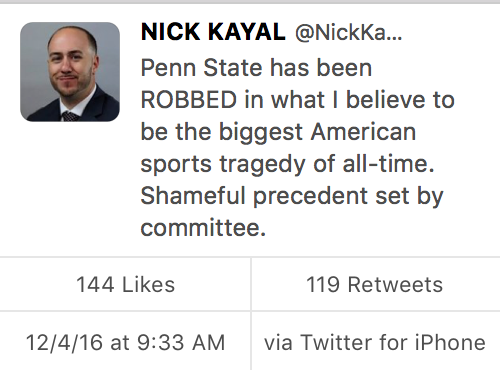 If Penn State has a case, then that same case would have to apply to the Sooners, no? Who cares if their defense was poor? 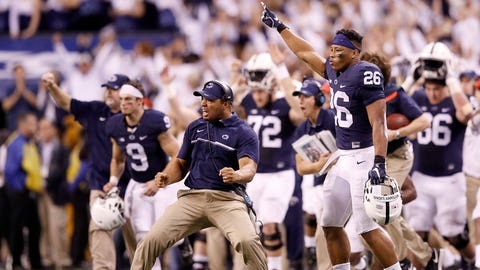 Penn State's wasn't all that great either. And what about two-loss Michigan? They had wins over Wisconsin, Penn State, and Colorado. 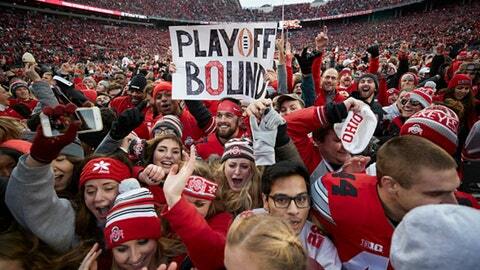 They had one of the best defenses in the nation and their loss to Ohio State came in double overtime. You can easily argue they're deserving of a chance to play for the title. Why exclude any of them? The College Football Playoff can save itself a lot of stress and consternation by expanding to eight teams as soon as possible. 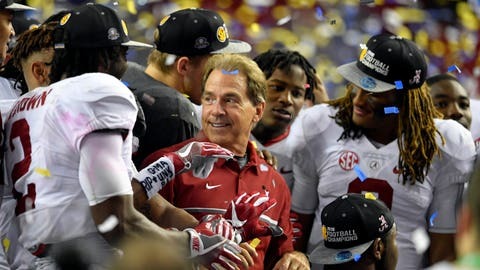 The year is the perfect case study for what would be a logical and fair formula in picking teams for an eight-team playoff: The Power Five conference champions would receive an automatic entry in the field, as would the top-ranked Group of Five team, and then the two most deserving at-large teams would round out the field. There would still be teams that would argue they deserve to be in the field, but it would be a lot easier to explain why, using this year as an example, Michigan would be in over USC and Wisconsin. Two losses to three — simple. There wouldn't be a debate between Penn State and Washington, or, from the first year of the playoff, TCU and Ohio State. Conference titles would be inherently rewarded and the committee can parse between fewer teams, allowing them to apply a clearer metric (record, quality of wins, strength of schedule, head-to-head if applicable) in selecting them. There'd be less of a debate. It wouldn't even be difficult to put on the playoff — there are already six bowl games associated with the CFP. Four bowl games would host the first round 1-8 games, two games would host the semifinals, and the playoff can maintain its Super Bowl, Final Four-style of bidding for the final. Yes, it'd be an extra game, but there wouldn't be a team in the field that wouldn't be interested in playing it. And the larger field wouldn't do a thing to hurt non-conference scheduling and the stronger games that we've seen as a byproduct of the playoff era — schools would be foolish to jeopardize their at-large chances with a weak non-conference schedule. Who wouldn't sign up for that? 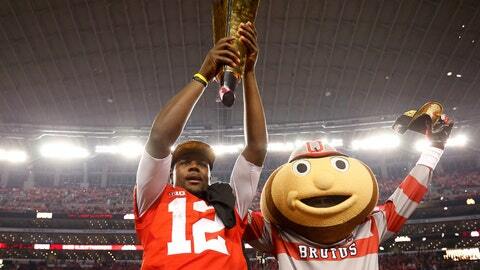 You might even swap Ohio State and Penn State, just to reward conference champions. Yes, USC and Wisconsin would complain about this result, but, again 2<3. There wouldn’t be much room for an argument — the only reason there was a debate over putting in a two-loss team over a one-loss squad was because a conference championship was involved. In 2015, there would have been a spirited debate for No. 7, the final at-large bid, between 11-1 Ohio State, who didn't play for the Big Ten title by virtue of losing to Michigan State in conference, 10-2 Notre Dame, 10-2 Florida State, 11-2 UNC (who lost in the ACC title game), and 10-2 TCU. Ohio State would have won that debate because, well, one loss. If UNC wanted in, they could have won the ACC, and if Notre Dame wanted in, they should have beaten Stanford in Week 14. Instead of leaving out the Big 12 in that first year, both champions from that league would have been in without incident or controversy. The argument would have been between Mississippi State, who was No. 1 for a time, vs. Michigan State, whose losses were to Ohio State and Oregon. That would have been a hell of an argument — you really can't do wrong — but at least entire conferences wouldn't get jobbed in the fray. Even if the tiebreaker between the two teams was points allowed in November, someone, right or wrong, would have been able to explain the exact reason why one team was in and one team was out. Did we receive that kind of clear explanation this year? There will always be debate, but the arguments over the last team into an eight-team field would pale in comparison to what we have now. How would this not be a better system? How much difficulty would there be in enacting it? How much more money could the playoff make? The College Football Playoff system is significantly better than the system that preceded it, but in only three years it has shown significant flaws — the controversy hasn't subsided a bit. It's easy, it's profitable, it's something that everyone would back. It's time to expand the playoff.